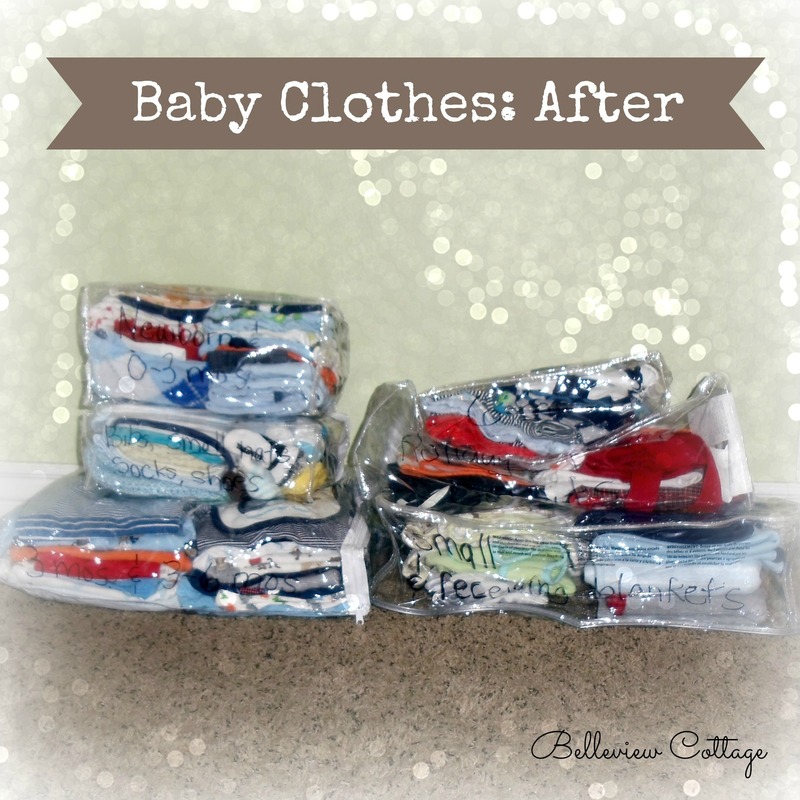 Now that my son is almost a year old, we have amassed quite a collection of clothes he has grown out of. I’m not ready to let them go, however, because we are planning on having more babies. 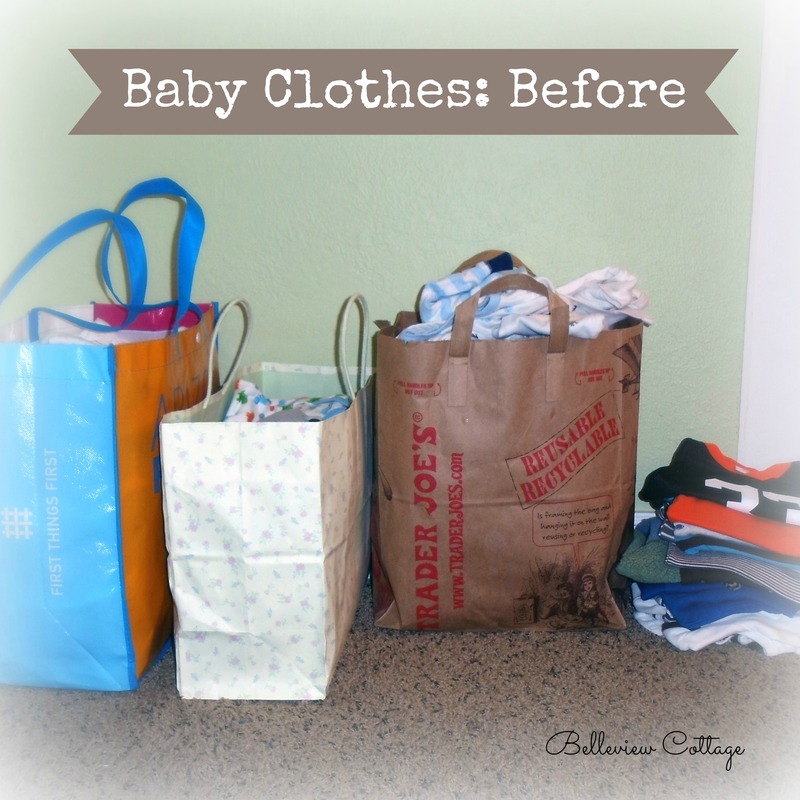 Until now, I had been storing the outfits in various bags as he grew out of them. They were starting to take up a lot of space on the top shelf of his closet. I was thinking to myself, I wish I had some storage containers that could grow or shrink as they filled up (or emptied out), and would easily fit under the crib for storage. 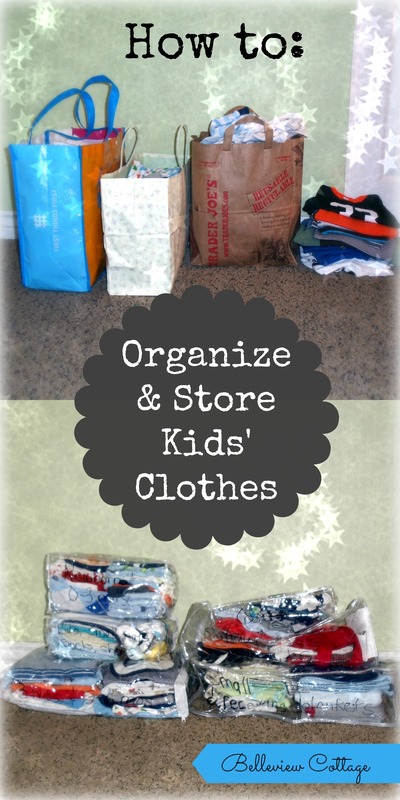 Your categories will depend on the size of your storage bags and the amount of clothing you have in each size. I used a permanent marker to label the bags, and they easily slid under the crib for storage. Now it will be easy to grab specific sizes for future babies as they grow, and keep the clothes not currently being used in “storage” under the crib. Next Post “Little Man” First Birthday Party!